MomsRising.org | Get Your Copy of Keep Marching Today! Fill out the form below and we'll keep you up-to-date on book events and other opportunities to get involved! Get Your Copy of Keep Marching Today! -> Or make a donation to MomsRising and get a book! Get the #KeepMarching Book To Help Build An Even Stronger Movement! Women are rising with strength, resilience, and courage. For the first time in history women are fifty percent of our workforce and many women are stepping into their power— both personal and political — unlike ever before in their lifetimes. 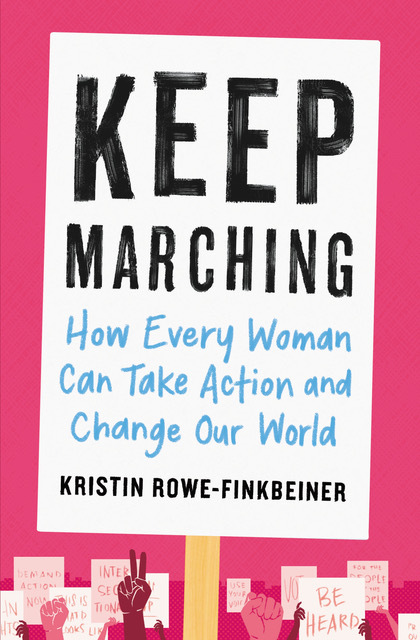 Keep Marching is a practical guide for building women’s power and leadership that offers a personal, persuasive, and highly researched examination of the institutional, economic, and political barriers that hold women back and how to break them down. Author Kristin Rowe-Finkbeiner — the executive director of MomsRising, a speaker at the 2017 Women’s March in Washington, D.C., and an effective advocate for more than two decades-offers compelling data, an overview of the top issues that women face, timeless tools, thought-provoking stories, and inspiration for how women can create change in their everyday lives and communities-and in the country as a whole. 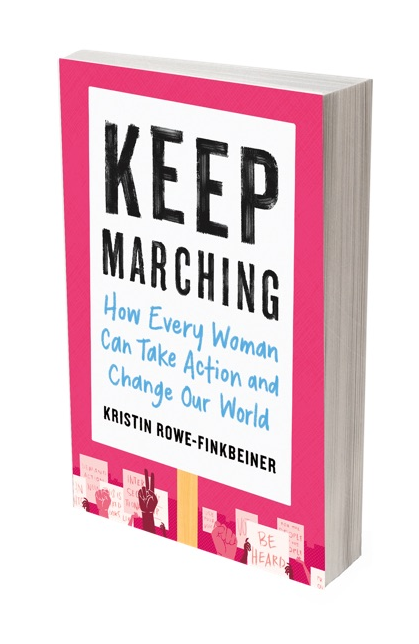 Published by Hachette Books, Keep Marching offers proven tactics, policy solutions, and strategies any woman can use to build her power. Enough is enough! Keep Marching offers groundbreaking solutions-and more-to the hurdles that women in America face every day. This book calls on all badass women for justice to come together and rise. * Just click a link below to order the book right now for yourself, your friend, your mom, daughter, or neighbor AND support the MomsRising movement at the same time because 100% of the proceeds go to MomsRising. What Are Leaders Saying About The Book?